Founded as a bike shop way back in 1907 with a winter sideline in sewing machines, Rose printed its first mail order catalogue in 1982. And while things have grown quite considerably on the Continent since then, the company has maintained a relatively low profile in the UK. 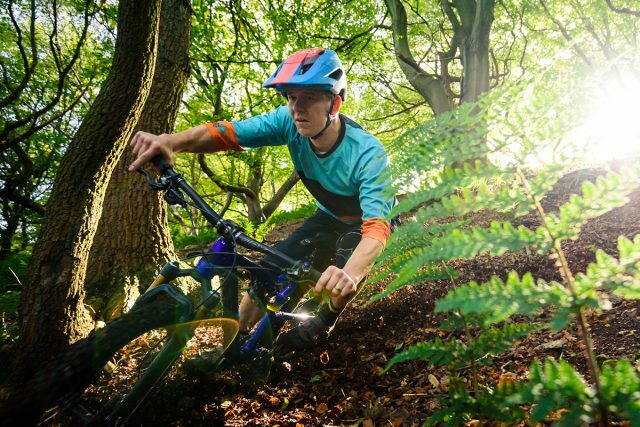 Covering the whole spectrum of bikes from XC to dirt jump, hybrid to downhill and everything in between, if you’re into riding bikes then it’s highly likely that Rose has a model for you. As the sole long travel 29er in the range, the Root Miller can be found nestled alongside the Granite Chief (Alloy, 27.5in, 150mm travel) and the Pikes Peak AM (Carbon, 27.5in, 150mm travel). 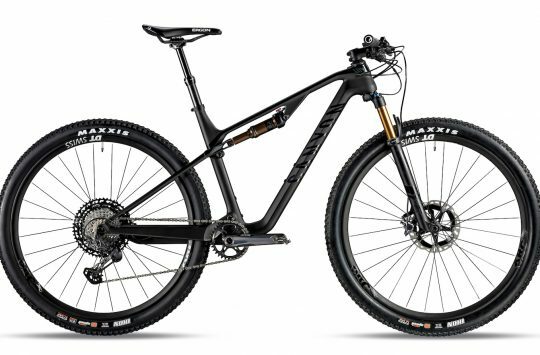 It’s been around in various incarnations for about seven years, although the frame received a major redesign three years ago and now features Boost spacing front and rear, 140mm travel and updated geometry. 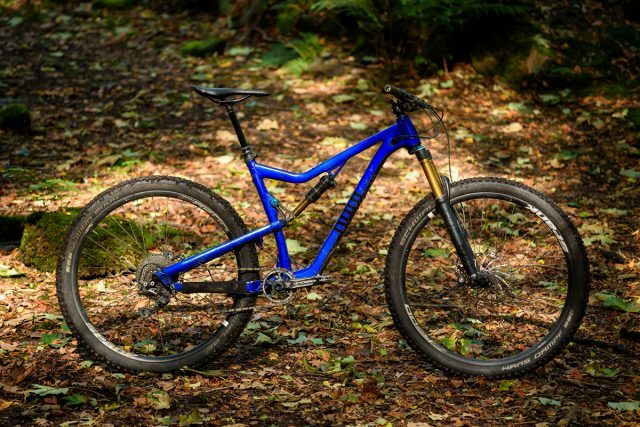 Billed as an all day trail bike that you can take to the odd enduro race, it’s tested here with 29in wheels, but will quite happily roll on 27.5in Plus rubber if you’re that way inclined. There are four current models available, the 1, 2, 3, and 4, with increasing levels of spec, except for the 3 and the 4 which share the same base components apart from the wheels – 29in on the 3, 27.5+ on the 4. Prices start at £1907.02 and climb to £3814.94 for the 4, while shipping to the UK is a flat £46 on all bikes. One unique facet of the way Rose sell bikes over some of their direct sales competitors such as Canyon and YT, is that pretty much every component on the bike is customisable at the point of purchase. Don’t like the fork? Swap it out. Want a different saddle? That’s fine. 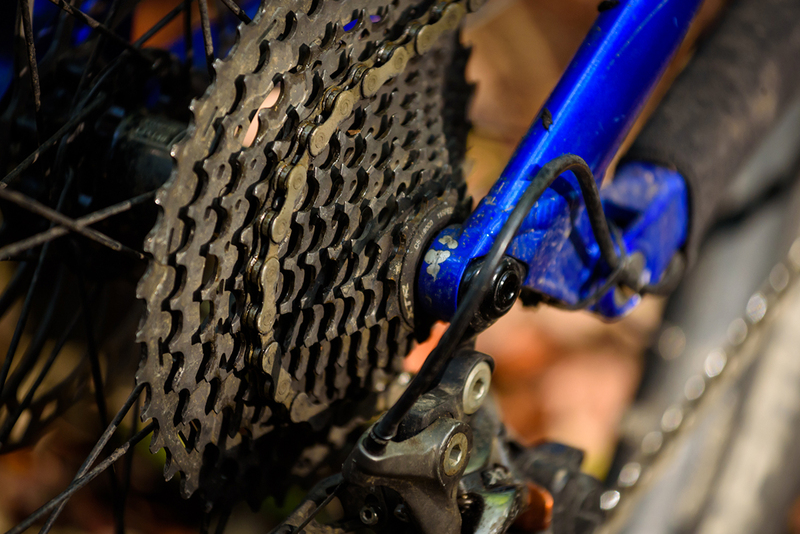 Prefer SRAM over Shimano? That’s also absolutely fine. As long as it’s listed on the Rose website and is in stock you can have it, and as an added bonus, Rose’s bike configurator won’t allow any component incompatibility. Neat. 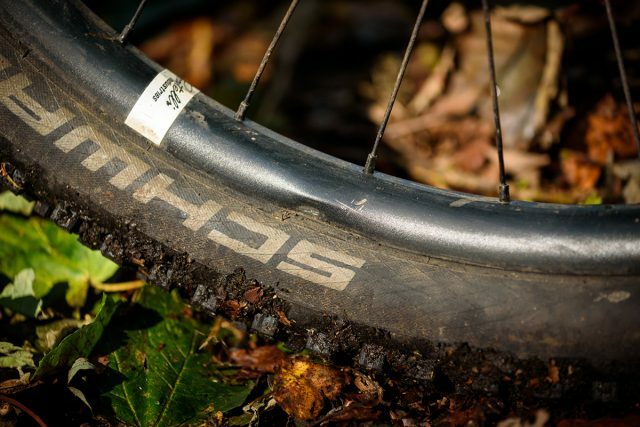 140mm of travel is paired up to 29in wheels for the Root Miller. While the graphics are quite smart and Teutonically understated, the candy blue frame isn’t the most inspiring of colours. Personally, I’d have gone for the Stealth finish, but the blue is much nicer to photograph! The only thing that really lets the frame down is the finish – it’s not the most durable and the paint has started to chip off in several places. The driveside chainstay is understandably looking very worn, as is the down tube from a few errant rock strikes, but more unexpected are some paint chips near the headtube and on the top tube. Obviously this doesn’t detract on the performance of the bike, but it does make the whole package feel a bit cheap, no matter how much high-end bling is bolted onto it. Welded 7005 alloy tubing throughout. Unfortunately the paint is a bit delicate and flakey. The Fox Factory suspension at each end served up excellent damping throughout the course of the test. 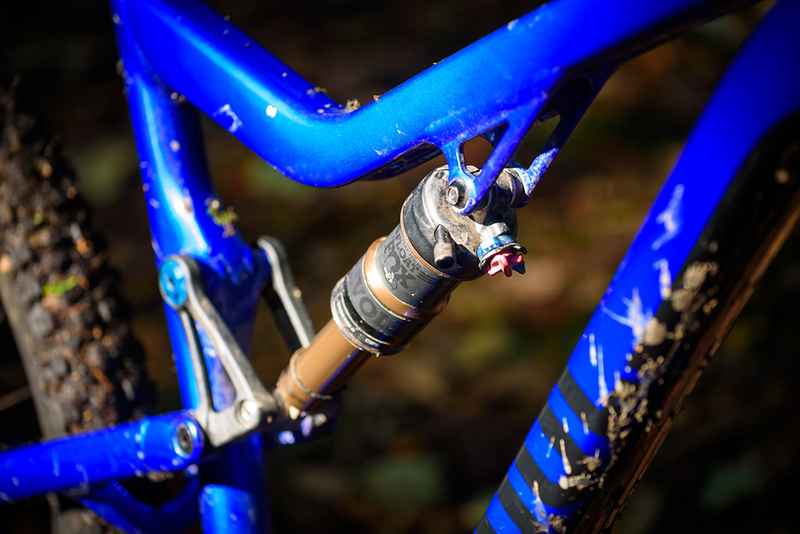 The forks were a breeze to set up – set the sag, dial in low speed compression to taste and away you go. The rear end was a bit trickier – with no sag marker things are left a little bit more to trial and error, but after some experimenting with pressures I was able to settle on a solid balance of pedalling efficiency and compliance, and I rarely had to reach for the shock lockout as the bike is naturally a very good climber with very little pedal kickback. The only issue I had was with the forks – for the type of riding that the bike encourages (and the speeds it is capable of), a 34mm chassis just isn’t stiff enough to cope with 140mm travel and 29in wheels. The 34 itself is a brilliant performer – supple, controlled and easy to adjust. But on some of the steeper and rougher Lake District trails, the front end was a bit too vague and flexible for my liking, and I felt them tucking up under themselves. For this kind of riding, a Fox 36 or a RockShox Pike would be a better pairing to the Root Miller frame. 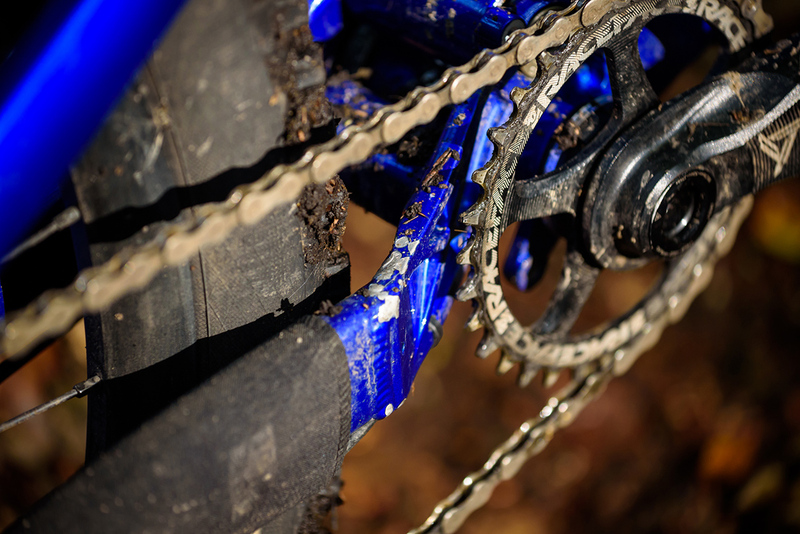 Shimano XTR shifting is silky smooth. 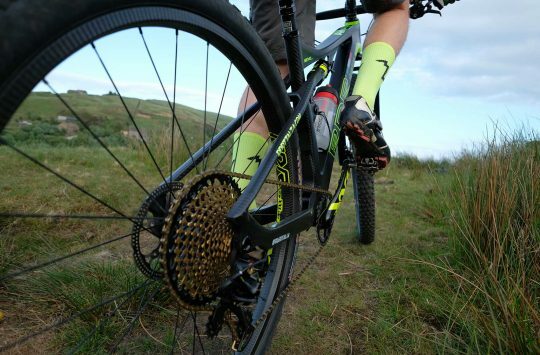 The 1×11 gears are the best of the best – a Shimano XTR shifter, rear mech and 11-42T cassette were silky smooth and precise throughout the majority of the test. I say the majority, because after a couple of rides the shifter tried to eat a cable and decided to stop shifting either up or down. Once back in the workshop, I opened the shifter up and saw the main shift mechanism was bent, with the cable wrapped around the centre of the unit. However, I managed to force the old cable out, tighten everything up and after popping a new one in, it’s been flawless ever since. Now I’ve been running Shimano shifters for nearly 25 years (bar the SRAM shifter on my current bike) and I’ve never come even remotely close to breaking one, nor have I heard of a similar issue on the current XTR range, so I’m willing to put this down to a rare case of bad luck (Or hamfistedness – Ed), and it most certainly wouldn’t put me off XTR in the future. Comfortable grips from Ergon and trick carbon bars from Race Face. The alloy Race Face chainset with direct mount 32T narrow wide chainring and threaded bottom bracket are at the other end of the chain, and again have coped with nearly everything I’ve thrown at the bike. I would have preferred a 30T chainring to compensate for the taller gearing of the 29in wheels, but the standard spec on the Rose website has one listed, so top marks there. More high end Race Face finishing kit adorned the bike at the front – both the Next Carbon bars and 50mm Turbine stem were incredibly comfortable and gave lots of control. The Ergon saddle was a little flat for my liking, but it’s hard to criticize such personal things as contact points when you’re given the option of changing them all when ordering. Parts are easy to customise on each Rose bike. Our test bike came with Spank Oozy 345 Trail wheels. 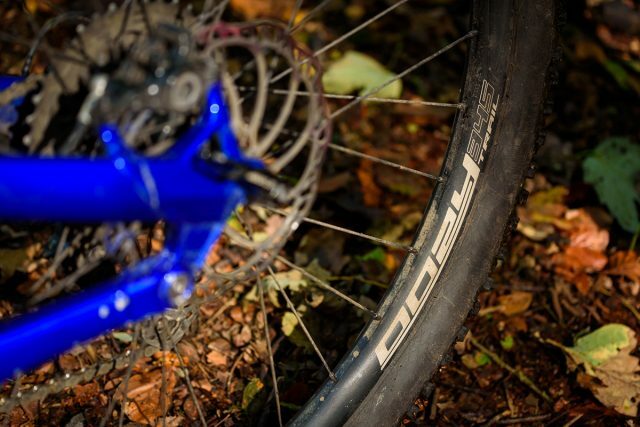 The wheels are a slight deviation from the standard spec sheet – Spank Oozy 345 rims are laced up on Spank hubs, and having enjoyed testing these wheels in their 27.5in incarnation, I wasn’t disappointed this time around. They’ve got a 30mm internal width, come set up for tubeless use, and although I’ve clattered the bike about a bit and managed to put a few dents in the rims, they’ve not given me a moment of grief or skipped a beat. The wheels are shod with Schwalbe Hans Dampfs – a Trailstar compound up front and Pacestar at the rear, both with Snakeskin casings, although I would have liked a more aggressive tyre up front for extra grip and a burlier tyre out back for the aforementioned rocks – to avoid punctures I had to run higher pressures, which had the knock on effect of reducing traction. The lightweight Magura stoppers were underpowered and the levers were too flexy for my liking. 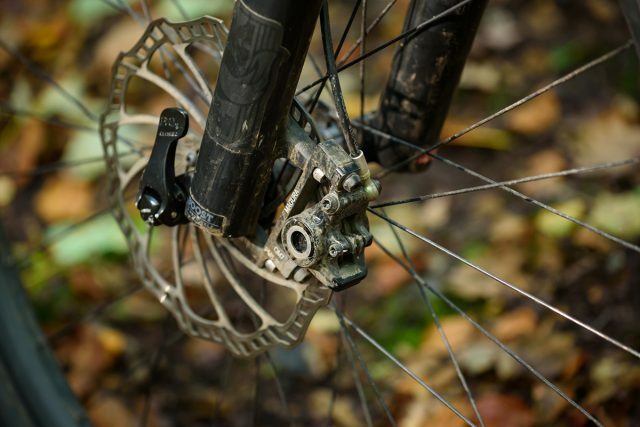 SRAM Guide brakes are the stock option, and it’s what I’d recommend going for. 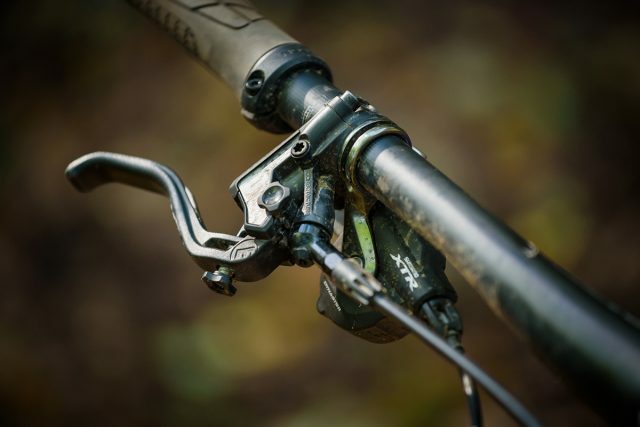 Finally, I never bonded with the Magura MT6 brakes – because of the inboard pivot placement the levers felt vague and spongy, and overall they lacked the stopping power I’m used to from SRAM Guides. But again, these are all things that can be fixed when you order your own bike so it seems churlish to nitpick. Being a direct sales brand with no chance to visit a dealer and try one on for size, I was reliant on interpreting geometry numbers and guidance from Rose to get the right fit. And so after some number crunching, at 6ft 1in (185cm) with average length arms and legs, I plumped for a size large. 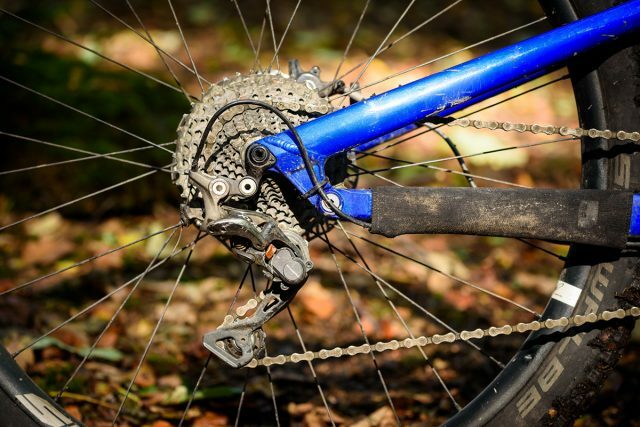 Now this is obviously a bit of a risk if you’re between sizes, and is one of the major drawbacks of buying a bike online so don’t try to skip this part – no matter how tempting the spec of a bike, if it doesn’t fit, you won’t enjoy riding it. It’s also important to point out that sizing tops out at a large in the Root Miller, so anyone much taller than me is going to be out of luck. Rose does offer the Granite Chief in an XL frame size, but you’re downsizing to 27.5in wheels. When it arrived, I had to slam the 150mm Rockshox Reverb to get the right pedalling height, even though I was comfortably within the stated recommended height range for the bike. 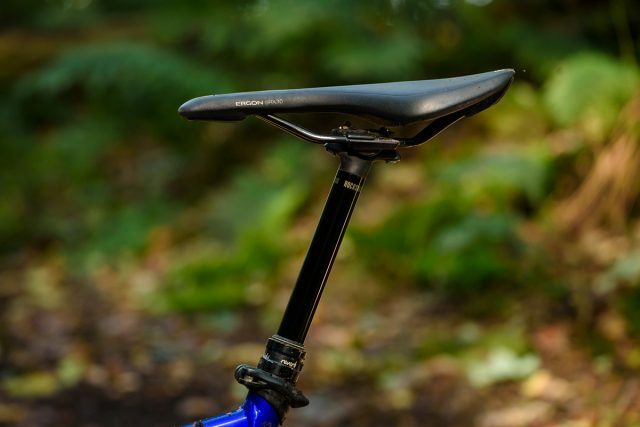 This is because the seat tube is quite long for the given frame size, which basically rules out shorter riders trying to upsize to get a longer reach measurement. Speaking of fit, the Large felt pretty comfortable to me, but alongside its contemporaries, the Root Miller’s 453mm reach figure is starting to look a touch on the short side. The result is a slightly more upright, trail bike-y feel to it rather than raked-out enduro bomber. The 150mm dropper is great, but the saddle height was almost too long for me. Now I have to say, this was my first time on a mid travel 29er (I’m much more familiar with mid-to-long travel 27.5in bikes), so I appreciate I may not be quite as used to the way bigger bikes feel, but on some of the steeper, natural and more nadgery trails I took the bike on, the relatively high bottom bracket meant I felt balanced on top of the bike at times, rather than sitting in it and being one with my machine. 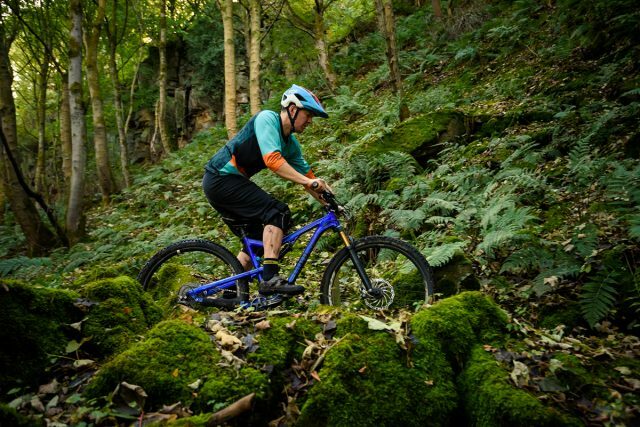 Most of the time, this wasn’t a huge issue – on wide open, fast and rocky singletrack (the type you’ll find at most trail centres), the bike is amazingly quick and encourages you to let go. 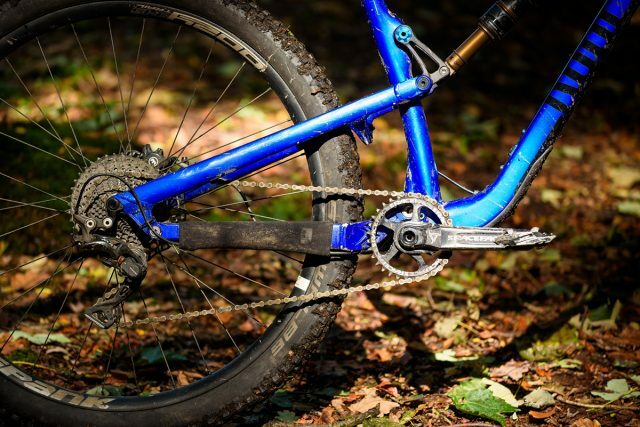 The longer chainstays help to make the bike exceptionally stable at high speed, although it’s a cruiser rather than an out and out race machine, lumbering along, rather than being all twitchy and nervous and wanting to change direction all the time. Think big American V8 mile muncher vs European sports car. James V showing a clear disregard towards leaves. That’s not to say it doesn’t corner well, but it’s not the most direct, and because of the high bottom bracket, manoeuvring in tight corners calls for a little more body language. Part of this is due to the geometry, with the long stays, high bottom bracket, short reach and steep head angle requiring more input to carve through sharper high-speed bends. Part of it is also down to the wiggle that can be felt through the rear of the bike, and through the dropouts on the Fox 34 fork. It means the wheels don’t quite track as straight as they could do, and that leaves you losing a bit of zippiness when shimmying the bike from corner to corner. Elsewhere on the trail though, the Root Miller is steady and predictable. As I mentioned earlier, efficiency under pedalling is good, without being overly firm or overly bobby. It’s just neutral and unnoticeable, which is a sign of a sorted Horst-link suspension design. I did make use of the lockout lever on extended fireroad climbs, but it wasn’t an essential for climbing, so I mostly left the shock compression damping wide open. That helped the rear tyre dig in for grip as the climbs became more technical, and if it wasn’t for the high pressures I had to run in the Hans Dampfs, the Root Miller would have offered even more traction on the ups. 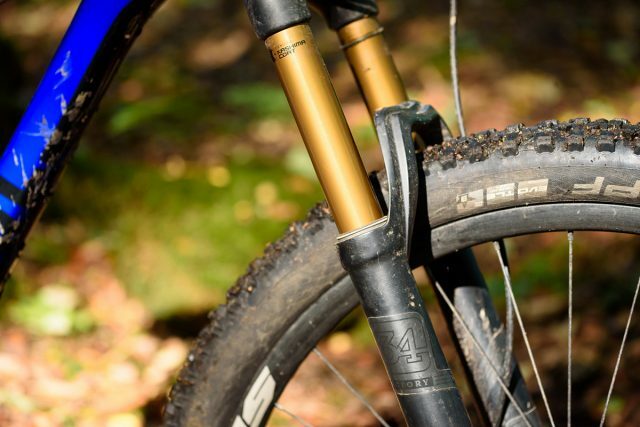 The EVOL-equipped Fox shock is supple, but bigger riders may want to fettle with spacers for more progression. 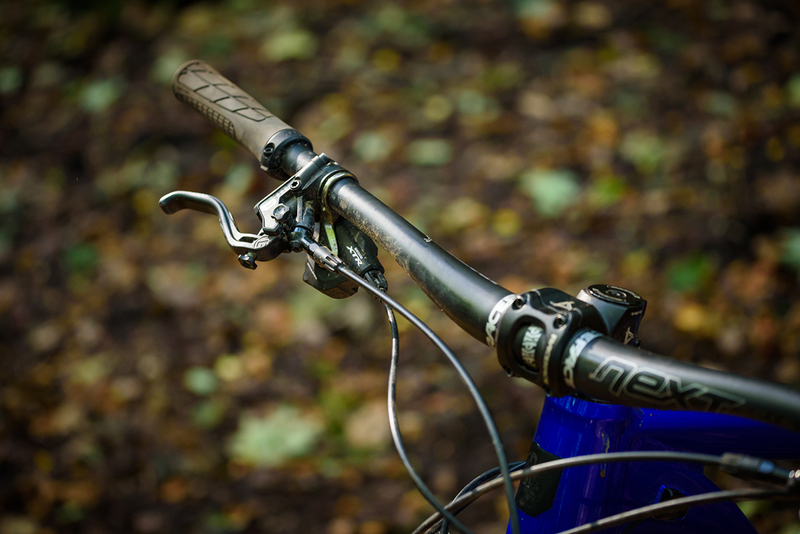 The Fox Float DPS shock felt nice and supple once you got moving into the travel, though I did find it wallowed a little in the mid-stroke if my weight was further back off the bike. 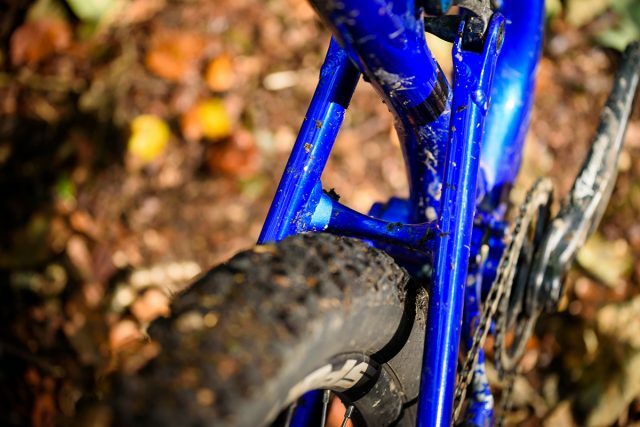 I used all 140mm of travel on plenty of occasions, with almost every ride ending up with the rubber O-ring maxing out. Despite bottoming-out regularly, I never noticed I’d used full travel, which is nice. That said, if you’re on the bigger side, or simply ride more aggressively, running a slightly larger volume spacer inside the air can would help to provide a little more progression to the Root Miller’s rear suspension action. Aside from the aforementioned shifting issue and frame finish, I also managed to drop and subsequently jam the chain on one descent – there are ISCG tabs and mounts for an e-type chain guide, and as the bike encourages you to ride harder and faster than expected, I would seriously consider fitting at least a top guide. However, looking at other spec options it’s clear that although the frame is immensely capable, Rose doesn’t see it as a hard hitting, long travel, speed machine. With a heavier duty fork up front, a chain guide, some better brakes and more solid tyres, this bike could be a proper rock eating monster. 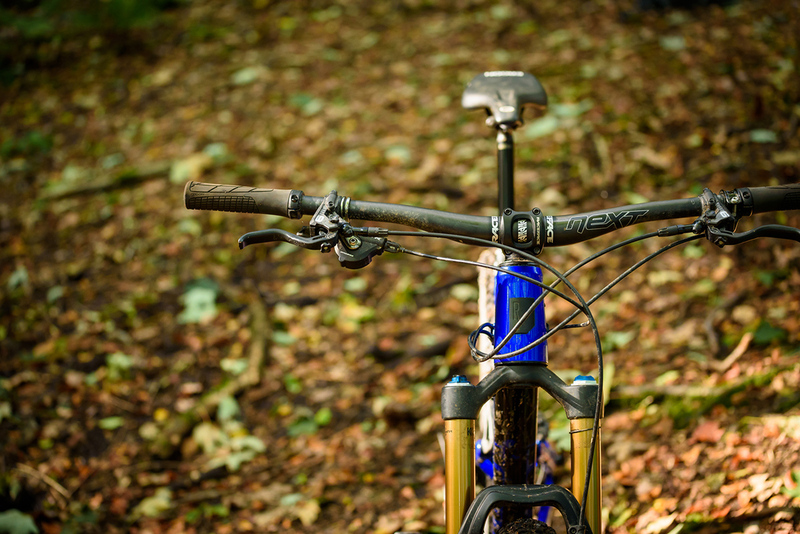 The Fox 34 is a great fork, but it feels a little flexy in this 140mm travel 29er guise. Almost limitless spec choices mean you can customise it to your heart’s content. The Rose Root Miller is a very fast bike indeed. I have to say, I loved most of my time on the Root Miller – on big open trails it just flies along, picking up and carrying speed with ease. 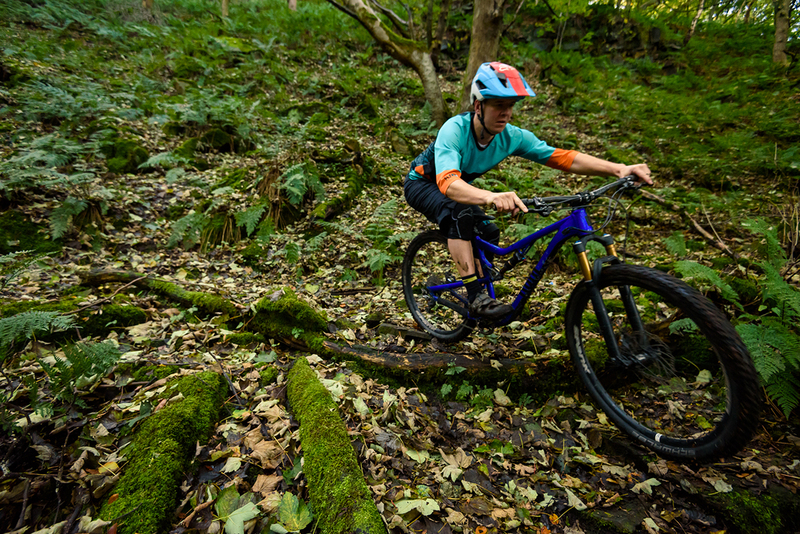 It isn’t nervous or twitchy, begging you to go faster and faster, and it loves the kind of swoopy high-speed singletrack that surrounds the most popular trail centres around the UK. Realistically, it only starts to get flustered and unmanageable on super tight, steep switchbacks (think Ben Lomond Ptarmigan trail), where the relative height of the bike combined with the flex of the fork makes it a bit awkward to turn. 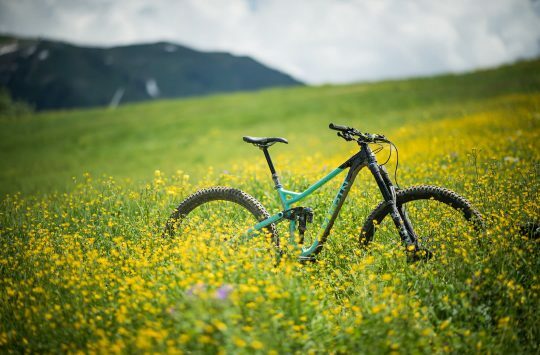 Some tweaks to the geometry such as a longer top tube, a slacker head angle and a little more drop to the bottom bracket would transform the Root Miller’s performance in these kinds of awkward and technical trail scenarios. Fundamentally though, this is still a trail bike that’s more at home on bigger and more open terrain, rather than being a tech-fest specialist. 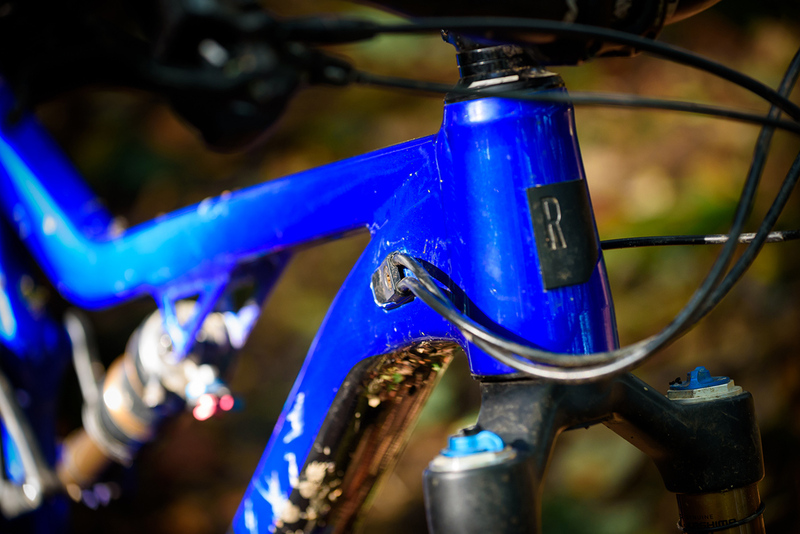 The Root Miller also pedals very well for a mid-travel 29er, and that means it’ll help you to earn more vertical metres in a given ride. It delivers an upright and comfortable riding position, which favours long distance trail riding over bombing down steeper and gnarlier terrain. And if that sounds like your cup of tea, the Root Miller is a top-value option. The Root Miller is a steady trail bike, but some small tweaks to geometry and parts could take its technical abilities to the next level.